The Swim Basics program includes three stages for preschoolers: Stage 1 Water Acclimation, Stage 2 Water Movement and Stage 3 Water Stamina. 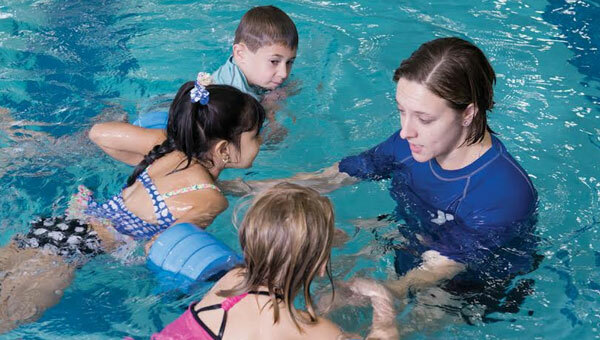 The Swim Strokes program includes one stage for preschoolers: Stage 4 Stroke Introduction. With Y Swim Lessons, it’s simple—just sign up for Preschool lessons and we’ll determine the appropriate stage for your child.